Changes in military tactics and armaments have caused some soldiers to prefer lighter armor that does not infringe upon their ease of movement on the battlefield. 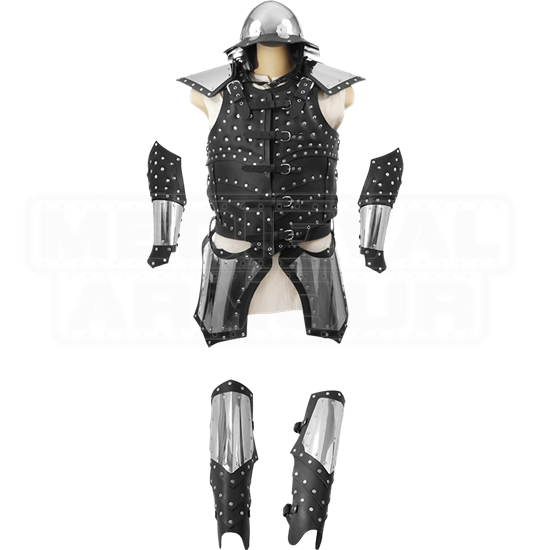 The Complete War Armor Set offers an ideal array of protective gear. This set includes the War Vest with Pauldrons, War Kettle Helmet, War Greaves, War Bracers, and War Tassets. Done in flexible, black 9-10 oz. leather and 20 gauge stainless steel, these pieces fit together to form a cohesive, stylish set of armor that is perfect for musketeers, bards, thieves, and more! The use of stainless steel in these products requires no maintenance while adding an interesting look. 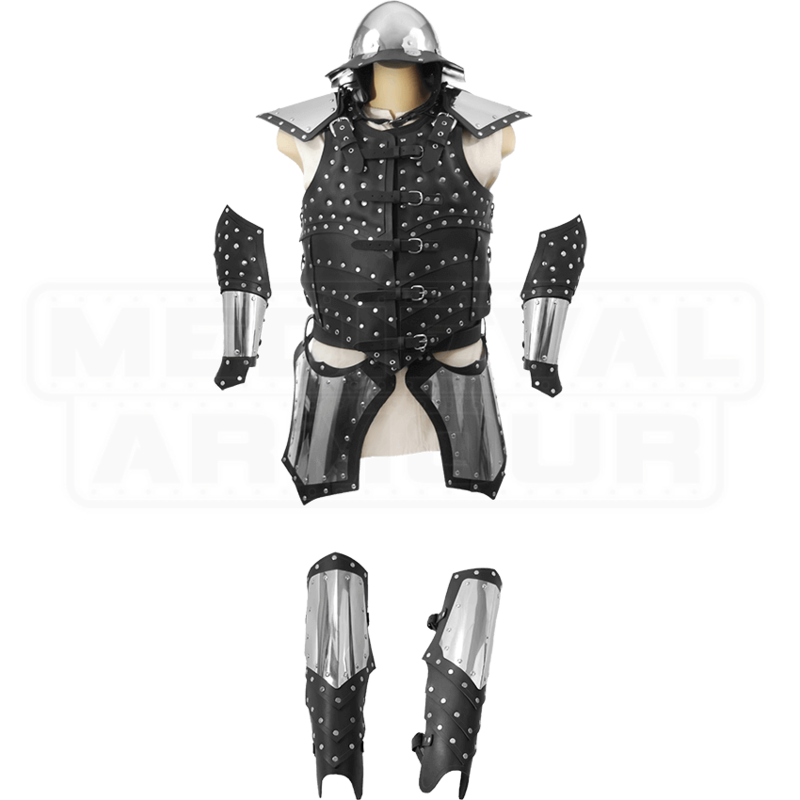 This set works great for LARP events with its lightweight material, allowing comfortable and free movement for fighting. The pauldrons can be removed, and a strap under the chin keeps the helmet secure. Modular stainless steel also provides better defense. Parts of this set can be bought individually. See items RT-214, RT-215, RT-216, RT-217, RT-218, and RT-219.